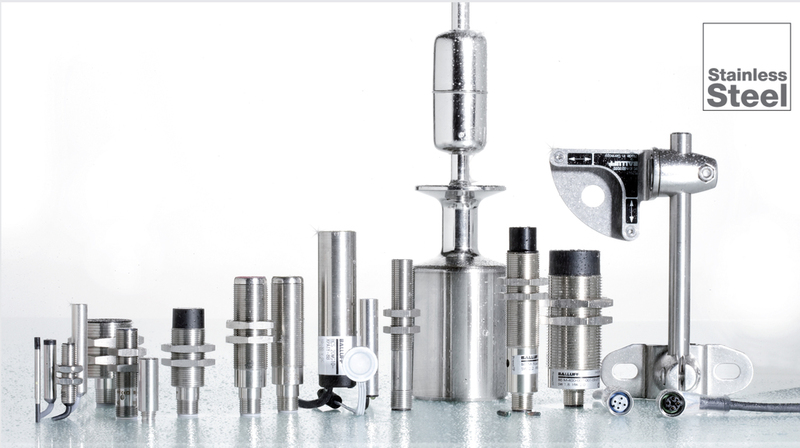 Balluff's stainless steel sensors and fixing systems offer everything needed to design a production process for safety, stability and hygiene. Optimised for extreme conditions and meeting all specifications and directives for the pharmaceutical and food industry, Balluff's stainless steel line is resistant to aggressive cleaning agents and designed to provide the most reliable sealing (IP67, IP68 and IP69K). Products range from mini sensors to M30 inductive sensors, sensors with elevated protection for the highest pressures and temperatures. There are also photoelectric sensors sealed to IP69K to withstand aggressive media and cleaning processes, capacitive sensors for accurate reliable and hygienic level sensing, as well as transducers for product contact use with FDA and FDA3A certification.